After all these years, a little respect. After years and years of despising Steve Spurrier, I found myself wash over with an ounce of delight when the Head Ball Coach admitted he’d left Tim Tebow off his pre-season All-SEC team. Granted, Spurrier admits that he did it on accident, but do we all really believe this? Most thought it was Lane Kiffin who’d left the quarterback off his ballot, but come on, this is token Spurrier. Always prodding, pushing, and heckling the rest of the league. Who knows, maybe it really was an honest mistake, but next time fill out your own bracket. But in all honesty, at least this stupid drama is over. It’s obvious the SEC media have nothing better to write about. For those of you who haven’t seen Tennessee’s newly unveiled internet campaign for Eric Berry’s run at the Heisman, you’re missing out. The UT Athletic Department has definitely pulled out all the stops on this one, putting together an entire website devoted to Berry’s Heisman campaign, as well as getting on board the twitter (like us!) and facebook bandwagon. Hopefully, this hard work by the Athletic Dept. will pay dividends for Berry when the Heisman votes are tallied. Read more about the campaign over at GoVolsXtra. Check out Eric Berry’s Heisman campaign site here. And his facebook page here. Tonight is all about convenience, and after my earlier post consisting of a wonderfully convenient and concise preview of Tennessee football, I present you with the uber-convenient 2009 Helmet Schedule for all of college football. This wonderful piece of work was put together by the infamous Mike Gardner (@ Mghelmets.com) whose brought his artistic talent to the gridiron by creating helmets for college football, the NFL, and even NFL Europe. He’s taken this talent and put together a very conventient Excel template with scheduling break downs for each team in all the major FBS conferences. 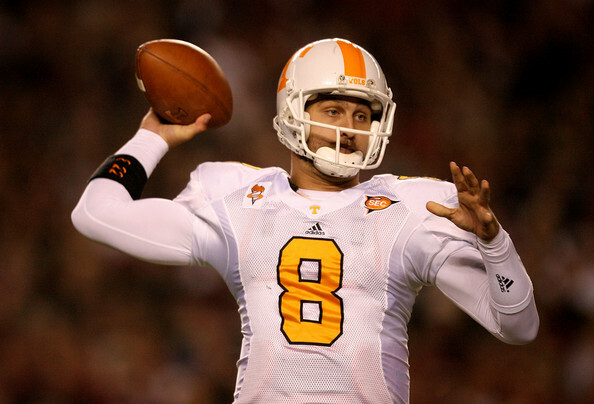 For those of you who need a little refresher course on what 2009 will bring for the Volunteers, check out this nice little wrap-up put together by the fellas over at bleacher report. They defintely just skim the top of the water in terms of coverage, but for someone who really hasn’t kept up with things, it’s a simple and informative piece with all the essentials. 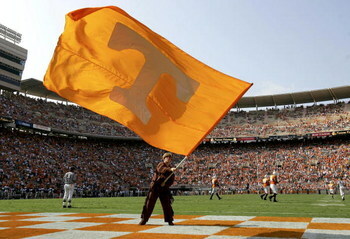 Here’s an experience most people won’t ever get to have, but most Tennessee fans dream about.